Established in the beginning of the 50’s as “Canelhas Jóias”, worked with production and distribution of jewellery for the Brazilian market until 1970. In 1970 Canelhas aware of the worldwide requests for gemstones, concentrated itself in cutting and exporting Brazilian fine emeralds. From that time on, the wholesale markets in Asia, Europe and Usa are responsible for 90% of the company sales. A history of quality, perfection and regular update made Canelhas have throughout these years satisfied customers and a leading position in the Brazilian market of cut emeralds. Canelhas starts working in jewellery business. 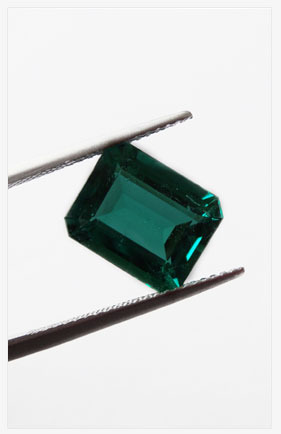 Works exclusively cutting and exporting Brazilian emeralds. Awarded by “Industry and Trade Agency” with “Foreign Trade Day Award” as the biggest emerald exporter of Brazil. Awarded for the second time with the “Foreign Trade Day Award” consolidating its position as the biggest emerald exporter of Brazil. From this year on this award was extinguished. Joins a modern emerald mine in Brazil, assuring a steady rough supply and a constant stock renewal. To expand and improve services to our customers, started colaboration with South American Stones in Bangkok, Asia. New goals and investments aiming to increase our production, keeping a constant renewal and competitive prices in cut emeralds. Canelhas Brazilian Emerald Cutters - Copyright 2019 - All rights reserved.